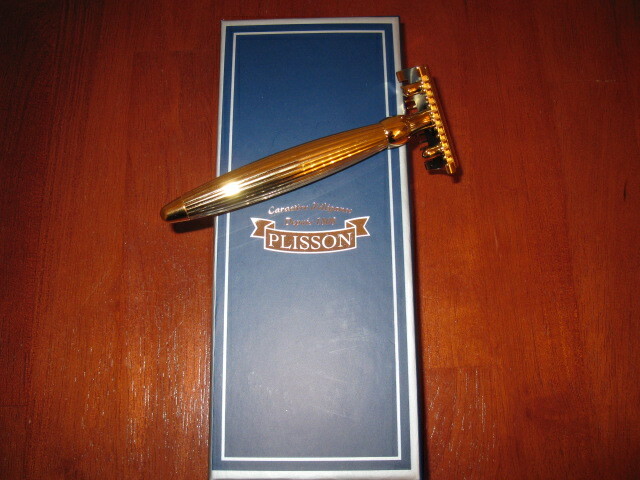 Offered is an almost new total mint condition Plisson Joris safety razor model #J191-T. This is the engraved version which some call lined. Made of solid brass (head and handle) and finished in pure 24 karat gold. Perfectly balanced gives an incredibly close and smooth shave. Weight is 99 grams and 4" long. Comes in original box and was shipped to me by Plisson (France). I have another Joris which I am keeping. Asking $150 USA delivery via USPS insured. 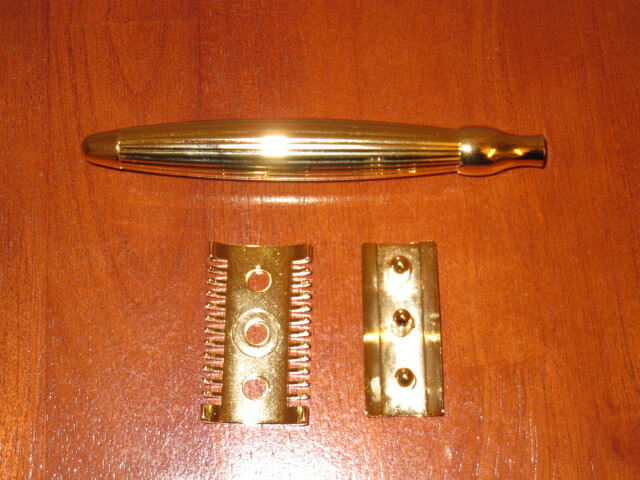 Nice razor at an excellent price. GLWTS Jerry. 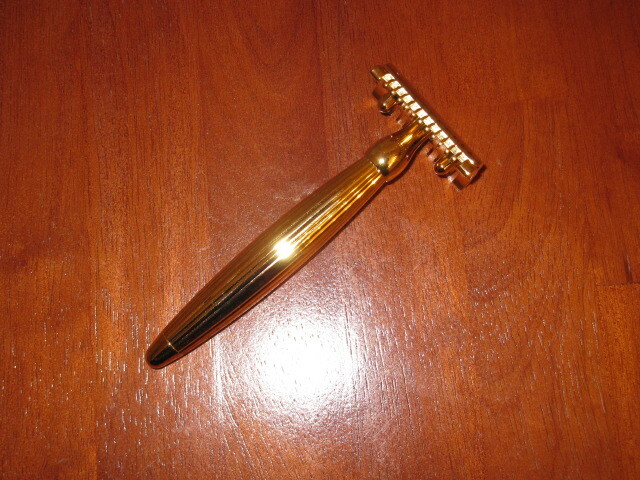 What a beautiful razor !! GLWTS! TapaTalk Used (sorry as I miss a lot being mobile most of the time)!